In the U.S., the release of the new Ghostbusters has meant we’ve heard from misogynist trolls and Fall Out Boy. But things are looking up in Japan. 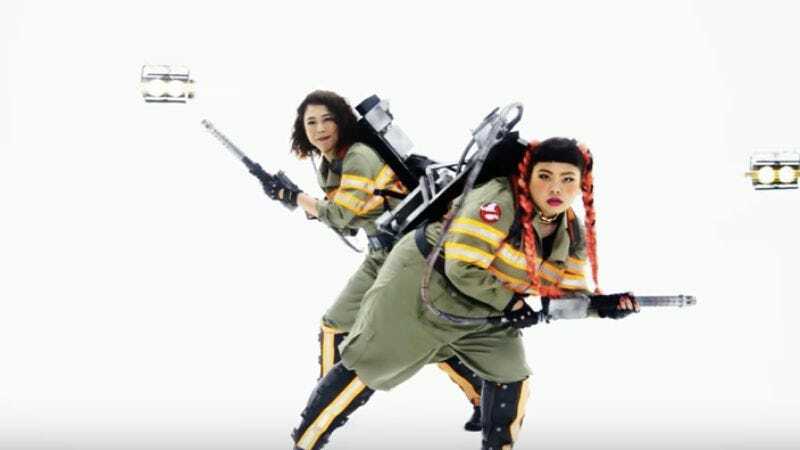 Sony recently released a delight of a music video for the Japanese take on the Ghostbusters theme. Comedians Tomochika, Oniyakko Tsubaki, Naomi Watanabe, and Shizuyo Yamasaki star in this version, and seem to be having a blast as they dance around and take down some groovy male ghosts. Unlike Fall Out Boy, these four haven’t really messed much with Ray Parker Jr.’s classic, outside of mostly translating it into Japanese. We say “mostly,” because “Who you gonna call?” and “Ghostbusters” remain in English.